2. Eligibility: This contest is open to all legal residents of the continental United States*, who, as of the drawing date, are at least 18 years of age and have a valid e-mail account. * Constituents may enter more than one pet in the contest separately. Pets who have previously won a spot in any RAR calendar are ineligible. Pictures with people in the foreground or background will not be considered, unless this portion can be cropped out before final printing of the calendar. Entrants who cannot provide reproducible photos will not be considered. Employees of Partnership With Native Americans® and the immediate family members of, and any person domiciled with such employees, are not eligible. Partnership With Native Americans® is not responsible for contest form failures or errors in any promotional graphics or advertisements. Winner must be in compliance with all contest rules. *Exception to US resident rule: entrants outside of the continental US are allowed if an alternate US address is provided. 3. Method of Entry: The contest begins February 1, 2019 and ends May 31, 2019 with three winners selected each month. Each entry must include a valid e-mail address. To enter via website, create a Personal Fundraising Sage page and upload a photo of your pet or email a photo of your pet, a short story about them and your mailing address to webmaster@nativepartnership.org for RAR to create a page for you. To enter via Instagram, follow @RARProgram and post a photo of your pet with a short story about them tagging @RARProgram in the post. To enter via Facebook, post your photo and short story on the RAR Facebook page or email a photo of your pet, a short story about them and your mailing address to webmaster@nativepartnership.org. No contribution is necessary to enter or win. 4. Photos: Images must be .gif, .jpg, or .png files. Files with a .jpg or .png type will be automatically resized to fit in a 225 x 300 pixel space. (If selected as a winner, the entrant will be asked to email a copy of the original for best presentation in the RAR 2020 calendar.) Maximum acceptable file size is 4 Mb. Recommendations for best quality photos include: use 300 dpi at a minimum size of 3 x 5 inches (900 x 1,500 pixels), using a 3.2 megapixel camera (at minimum) and set at its highest quality. Pictures with people in the foreground or background will not be considered, unless this portion can be cropped out before final printing of the calendar. Entrants who cannot provide reproducible photos will not be considered. 5. Deadline for receipt of entries: Entries for each month’s contest selection must be submitted by midnight (CDT) on the last day of the month. 6. Selection of winners: Entries will be pulled from the website, Instagram and Facebook. Three (3) monthly winners will be selected by determining the pages and/or photos with the highest votes as of each monthly deadline for a total of twelve (12) winners for the contest. In the event of no new entries in a specified month, winners will be selected from previous month entries. In the event of a tie for the third winner, one will be selected for the current month and the other will be a backup for a future month. Pets will remain entered in the contest, month after month, unless you notify RAR at webmaster@nativepartnership.org to kindly remove you, or until you win. If you are a winner via Instagram or Facebook, you will need to send an email to webmaster@nativepartnership.org with your mailing address so that we may send you copies of the RAR 2020 Calendar. Odds of winning depend upon the number of entries received. 7. Voting: Only one (1) vote per day per unique voter will be acceptable. Daily votes are encouraged. Invalid votes will be disregarded. Online voting will end for the 2019 contest at 11:59 p.m. (CDT) on May 31, 2019. Voting is open to persons 13 years and older. 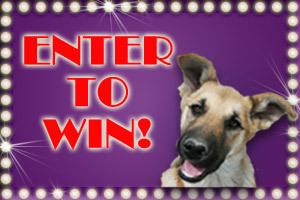 Vote for Pet of the Month by entering a comment or making a donation on the entrant’s Sage page. Your computer may need to accept cookies, or any successor or similar technology, which may be used for the purpose of entry tracking. Pop-up blocking software on your computer may need to be disabled so that it doesn’t interfere with processing your entry. If voting via Instagram or Facebook, voters will need to like and/or comment on the photo/post they wish to win. One comment per person per day please. Sponsor will not be responsible for incomplete, lost, late, postage-due, misdirected or illegible entries or for failure to receive entries due to transmission failures or technical failures of any kind, including, without limitation, malfunctioning of any network, hardware or software, whether originating with sender or Sponsor. In the event of a dispute, all online entries will be deemed to have been submitted by the owner of the ISP account from which they were sent. For these purposes, an ISP account holder shall mean the natural person assigned to such ISP account by the Internet access provider, online service provider or other organization responsible for assigning ISP addresses for the domain associated with such ISP account. All entries become property of Sponsor and none will be returned. Any questions regarding the number of entries or votes submitted or the owner of an ISP account shall be determined by Sponsor in its sole discretion, and Sponsor reserves the right to disqualify any entries by persons determined to be tampering with or abusing any aspect of the contest. 8. Prize: Twelve (12) winners will have their pet’s photo represented in the 2020 RAR (Reservation Animal Rescue™ — a program of Partnership With Native Americans®) Calendar. (The month the photo will be represented in the 2020 RAR Calendar may be randomly selected.) Monetary value of this prize package is $0.00. 9. Winner Notification and Acceptance: Winners will be notified by email the month following the close of the previous month’s contest selection. If winner entered via Facebook or Instagram, winner will be contacted via direct message. Winners will be asked to email original pictures in order to have the highest resolution possible for printing. Participants grant Partnership With Native Americans® the right to use their name and submitted photo in advertising and promoting the contest without further compensation. Winners will have 7 days to respond to winner notification message or another winner may be chosen. 10. Participation: All decisions regarding disqualification of entries shall be in Partnership With Native Americans'® sole discretion. Partnership With Native Americans® is not liable for lost, late, delayed, damaged, or incomplete email or transactions, for failure to receive entries due to transmission failures or technical failures of any kind, including, without limitation, malfunctioning of any network, hardware or software, whether originating with sender or Partnership With Native Americans®. In the event of a dispute, all email entries will be deemed to have been submitted by the owner of the email account from which they were sent. For these purposes, an email account holder shall mean the natural person assigned to such email account by the Internet access provider, online service provider or other organization responsible for assigning email addresses for the domain associated with such email account. By participating, entrants agree to be bound by these Official Rules and the decisions of Sponsor. Sponsor reserves the right to disqualify persons found tampering with or otherwise abusing any aspect of this contest as solely determined by Sponsor. In the event the contest is compromised by a virus, non-authorized human intervention, tampering or other causes beyond the reasonable control of Sponsor which corrupts or impairs the administration, security, fairness or proper operation of the contest, Sponsor reserves the right in its sole discretion to suspend, modify or terminate the contest. Should the contest be terminated prior to the stated expiration date, Sponsor reserves the right to award prizes based on the entries received before the termination date. 11. Limitations of Liability/Disputes: By entering the contest, entrants agree that all disputes, claims, and causes of action arising out of or in connection with the contest, or any prizes awarded, shall be resolved through mediation. If the claim is not resolved, the dispute will be submitted to arbitration in accordance with the Expedited Procedures of the American Arbitration Association’s Commercial Arbitration Rules for claims less than $10,000. The award of the arbitrator shall be final and binding on the parties. Any damage award shall be limited to entrants actual out of pocket expenses. By entering the contest all, entrants waive any and all rights individually without resort to any form of class action; any claims, judgments, and awards shall be limited to actual out-of-pocket costs incurred, including costs associated with entering the Contest, but in no event to recover attorney’s fees, and under no circumstances will any entrant be permitted to obtain any award for, and entrant hereby waives all rights to claim, punitive, incidental or consequential damages, and any and all rights to have damages multiplied or otherwise increased. and any other damages other than damages for actual out of pocket expenses. Entrants warrant that the photograph submitted is original, that entrant is the sole owner and copyright holder of that photograph, and that entrant has not granted exclusive rights of that photograph to any other person or entity. Entrants also warrant that the photograph does not depict harm done to, or cruelty to, the pet; does not invade the right of privacy of any individual; does not infringe any trademark, trade name, trade secret, intellectual property right, or other common law or statutory right; nor does it contain any material that otherwise violates any criminal prohibition or the personal or proprietary rights of any person or entity. Winner(s) will be responsible for any taxes on the value of the prize. THIS CONTEST IS GOVERNED BY THE LAWS OF THE UNITED STATES AND THE STATE OF TEXAS, WITHOUT RESPECT TO CONFLICT OF LAW DOCTRINES. This promotion is in no way sponsored, endorsed or administered by, or associated with Facebook or Instagram. You understand that you are providing your information to the owner of this Facebook or Instagram page and not to Facebook or Instagram. 12. Grant of Rights: With regard to any image or content submitted, Entrant agrees to grant the Partnership With Native Americans®, its legal representatives, successors, and assigns, the nonexclusive right and permission to use, modify, adapt, reproduce, publish, and distribute the photograph, or any portion thereof, throughout the world, in any printed form and by any kind of mechanical or electronic or any other method or device of reproduction, publication, and distribution known or later developed, and without notification or payment, in connection with the RAR Pet of the Month Contest. 13. Construction: All issues and questions concerning the construction, validity, interpretation, and enforceability of these official contest rules, or the rights and obligations of any Contestant and Partnership With Native Americans®, shall be governed by, and construed in accordance with the laws of the state of Texas, without giving effect to any choice of laws or conflict of law rules or provisions that would cause the application the laws of any jurisdiction other than Texas. In the event that any such provision is determined to be invalid or otherwise unenforceable, these rules shall be construed in accordance with their terms as if the invalid or unenforceable provisions were not contained therein. 14. General Release: By entering the contest, entrants release Partnership With Native Americans® and their affiliated companies and agents from any liability whatsoever for any claims, costs, injuries, losses or damage of any kind whatsoever arising out of or in connection with the contest or with the acceptance or possession of any prize (including, without limitation, claims, costs, injuries, losses, or damages related to personal injuries, death, damage to, loss or destruction of property, rights of publicity or privacy, defamation, or portrayal in a false light). 15. Sponsor: The RAR Pet of the Month Contest is sponsored by Partnership With Native Americans®, whose decisions regarding the selection of winner and all other aspects of the contest shall be final and binding in all respects. Partnership With Native Americans® will not be responsible for typographical, printing or other inadvertent errors in these Official Contest Rules or in other materials related to the contest. If you have any questions regarding this contest, or to obtain a list of winners after the close of the contest, please contact Partnership With Native Americans® at info@nativepartnership.org or (800) 416-8102.